Do you want to join a globally recognised and innovative team that are shaping the future of trade? As part of our award-winning international team, you will benefit from the highest professional values and a supportive, diverse and friendly corporate culture representing nearly 50 different nationalities. We believe that our people are our greatest asset. To stay ahead of the curve, we believe that we must invest in our team – from introducing new training and development programmes, to the launch of an online portal for employee services and the introduction of social media platforms for employees. DMCC is committed to evolving, diversifying and expanding our team and its capabilities. So, while you help shape the future of Dubai and the Middle East, DMCC will help you build your career. Do you want to develop your career as part of a highly successful, forward-looking enterprise that rewards top talent? If so, DMCC offers a world of opportunity. As part of our award-winning international team, you will be in very good company. We are an ambitious team with strong professional values and a supportive, friendly culture. So, while you help shape the future of Dubai and the Middle East, DMCC will be helping to build your future prospects. We believe in real work-life balance and that means having fun when we work – and afterwards. That’s why all employees enjoy an incredible range of social activities and events. A firm fixture on the annual social calendar, our gala dinners are designed to let you unwind and get to know your colleagues in a relaxed, informal way. Ditch the lift and join us on our weekly stair climb at the Almas Tower – 62 floors of great cardio work out and a chance to burn the calories consumed at one of those 450 amazing retail outlets. If that is not enough of a weekly grind, then join the DMCC running team and take part in the Dubai Marathon, Half Marathon, Bloomberg Square and Walk for Diabetes. Every year we host a family fun day in the beautiful green park next to our offices, helping families of DMCC employees to get to know each other – and it’s a great excuse to get out in the sun and chill out. We strongly believe in the health and wellness of our employees, and we uphold this through various initiatives including the introduction of Yoga in the Workplace and assuring that the office fruit baskets are always well stocked. We are not only investing in the physical health of our employees but in their minds and spirits too. 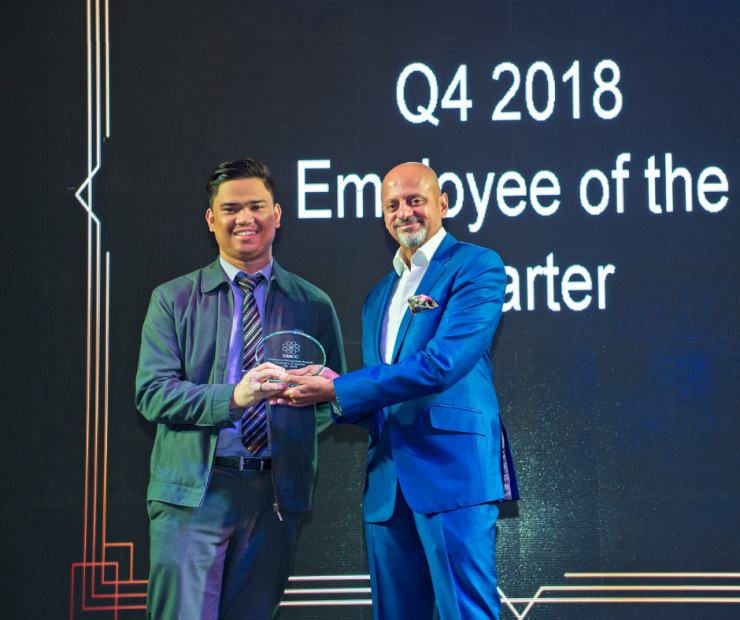 Every quarter we hold ‘town hall’ meetings where the entire company has an opportunity to share their experience – it’s a time to recognise great performance by awarding our best people and developing strong and open communications across the company. If you join the DMCC family, we are going to do everything we can to help you realise your full potential. You will receive a tailored career plan – the truth is, learning, development and career plans are our secret recipe to success. At DMCC, we invest in our people and every single DMCC employee will be entitled for training to make sure you build a fantastic career with us. We offer a wide range of training courses as well as professional certifications, support higher education, and professional membership. Our Emirati Graduate Development Programme places enormous importance on supporting the nation’s future business leaders. It is a 12-month paid programme at Almas Tower, for talented and highly ambitious Emiratis to help them gain knowledge and acquire new skills. The programme participants will be sent on the Institute of Leadership and Management (ILM) accredited training course. At the end of the programme, participants will be given the opportunity of a career at DMCC and a priority over all other applicants. We all play hard at DMCC – but we love to push ourselves through hard work and commitment too. We conduct quarterly performance reviews and annual appraisals. This means we can make sure you are being rewarded and recognised. And for those who go the extra mile, we have an Employee of the Quarter and Employee of the Year Award. 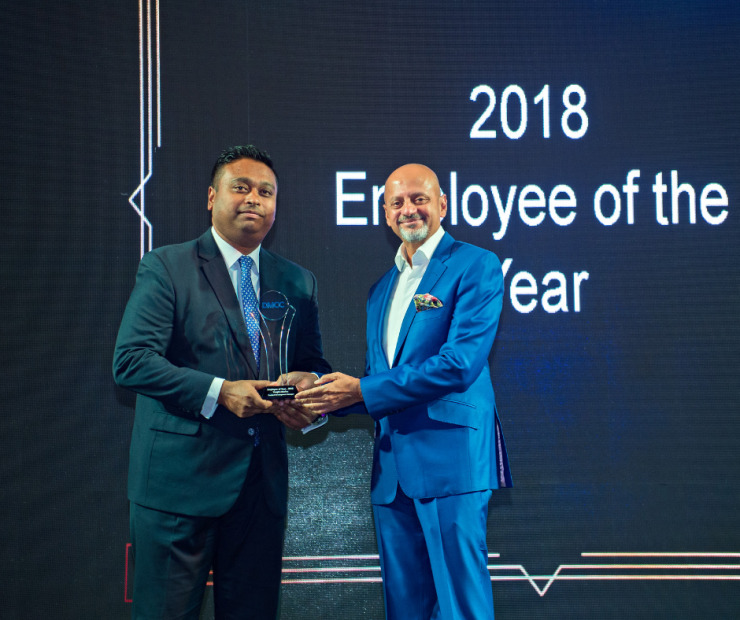 DMCC designed a holistic recognition programme that covers all aspects of employees’ participation and contribution with recognition options for big and small achievements such as instant recognition, Individual Quarterly Awards, Biannual Project Team Awards, and Employee and Project Team of the Year Award. At DMCC, we invest in our people and every single DMCC employee will be entitled for training to make sure you build a fantastic career with us. We offer a wide range of training courses as well as professional certifications, support higher education, and professional membership. There is much more to life at DMCC than the working day. From glittering gala dinners to family fun days, we offer a wide range of activities for colleagues to enjoy. Take a look at some of our videos below to get a little more insight on what working life is like with us. We have established the Emirati Graduate Development Programme, designed to support His Highness Sheikh Mohammed Bin Rashid Al Maktoum Emiratisation plan. Through this programme, we welcome an amazing group of talented young Emiratis every year to the DMCC corporate family. We know how important family time is. Along with opportunities for flexible working, we offer special events in JLT that the whole family can enjoy. The DMCC Corporate Games is an annual event showcasing the camaraderie, determination and friendship amongst colleagues. Each year is packed with even more fun and activities and encourages everyone to keep moving! From playing an instrument to finding your way out of an Escape Room, our team building events offer the chance to do something fun, lively and different away from the day-to-day routine. We are an ambitious and energetic team with strong professional values and a supportive, friendly culture that will enable you to develop and perform at your best. We conduct quarterly performance reviews and annual appraisals. This means we can make sure you are being rewarded and recognised. And for those who go the extra mile, we have an Employee of the Quarter and Employee of the Year Award. 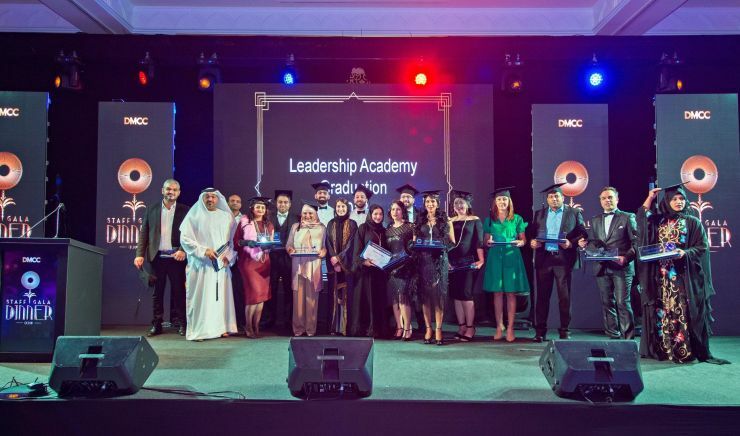 We have also launched the DMCC Leadership Academy, a program that hones the skills of employees to further elevate their career. When you join DMCC, you will be well rewarded, including a competitive salary and excellent package of benefits commensurate with your role. And more importantly, you'll be working with a fantastic team! Small actions, when multiplied by thousands of people, can transform the society. DMCC CSR (Corporate social responsibility) is a small noble step towards the betterment of the society. We believe that CSR when practiced in a structured way, is far better poised to effect positive, long-lasting change. The four pillars of DMCC CSR are workplace, marketplace, community and environment. We engage our employees in various activities related to employee wellbeing, supporting community, sports events, awareness campaigns and United Nations international day celebrations. We have regular volunteering activities at various organisations in the Emirate – we give our employees paid time off for volunteering. We also organize fund-raising events internally to support the disadvantaged in collaboration with established institutions in the country. Through our comprehensive Corporate Social Responsibility (CSR) programme, DMCC enables its team to play an important role in improving society. It does this through the provision of multiple opportunities for the team to contribute to employee wellbeing, community development, social awareness campaigns and United Nations initiatives.